Foxwell NT510 Multi-System Scanner is the most cost-effective professional scan tool developed by the most distinguished experts of this industry. NT510 scan tool is a unique tool that delivers genuine coverage, depth and value for different car manufacturers. Which BMW vehicles does Foxwell NT510 scanner support? How to get BMW software with the authorzation service aboved? Original Foxwell NT510 is the 2016 new advanced diagnostic tool for BMW diagnosing. 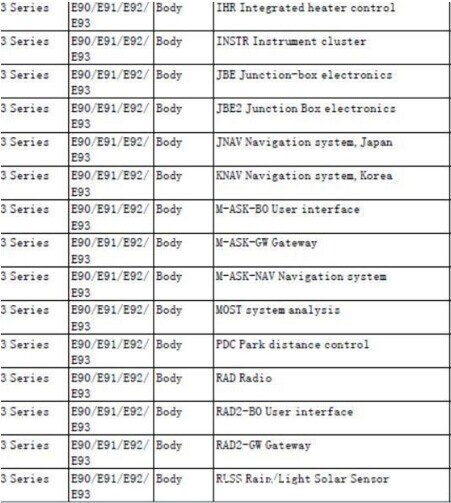 Here are parts of Cartool.co.uk customers feedback and tested BMW models list working ok with Foxwell NT510 Multi-System Scanner. BMW: So far I have had good success with BMW. All BMW’s supported auto vin & autoscan, was able to get a quick easy accurate report of issues. of injector values and Engine idol speeds and it can be used on it, so far, everything is OK.
and 540iT (1999). Because it had specific BMW codes it seems worth the investment and well beyond a peak code reader. Moreover, you are offered to free download NT510 BMW model & function lists here. 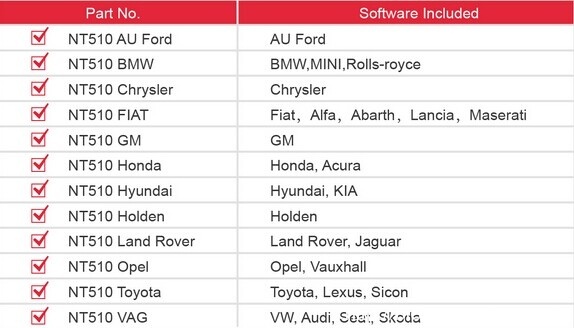 Au Ford, BMW, Chrysler, Fiat, GM, Honda, Hyundai, Holden, Land Rover, Opel, Toyota and Vag. How to get the software authorization for NT510 Multi-System Scanner ? You can buy the software authorization service for NT510 scanner from here http://www.cartool.co.uk/wholesale/software-authorization-for-nt510-multi-system-scanner.html. You only provide us your serial number when you place the order. If you want buy several software, just place server orders and select software model you need. Our NT510 shipped with default OBD2 software and does not contain any vehicle software, customer can download one software for free after they received the products. Or you can provide us your serial number of NT510 and we help you combine to the software you need, all you need to do is update the device. Some customers own foxwell scan tool from cartool.co.uk question about how to get foxwell scanners update online. 1. Make sure your network works correctly. 2. Make sure you have already created a Foxwell ID. Then check step by step to how to get a Foxwell ID for your foxwell scanner. 1. 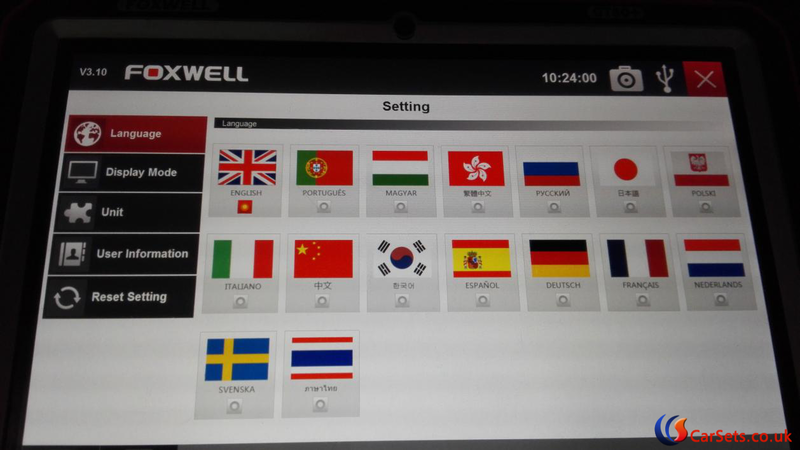 You can use your device serial number and register password to obtain your own Foxwell ID on foxwelltech.com.There are two ways to download the update PC application. a. Visit our site www.foxwelltech.com and go the Product page. Find your product model and click it to view the product profile. Select Download tab to download the PC application file. 3. Double click the desktop icon update icon to launch the application. 6. Foxscanner will automatically recognize the serial number and display all available applications, please read it carefully before update. 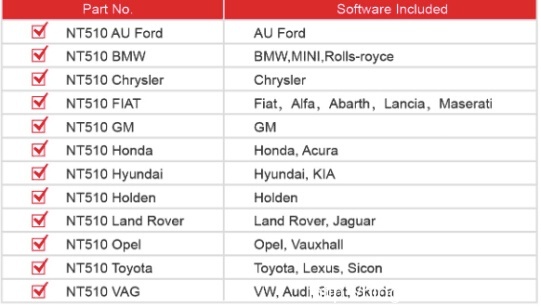 Please note that you are allowed to select and install any one of the vehicle software from the available update list free of charge and in future you are allowed to install updates of the selected brand only. In case you want to install any other vehicle software, please contact us or sign in your member center to place an order of buying extra software. 8. When Update button is clicked, it begins to download. And you can check the Current Status. If the Current Status shows Downloading, please do not close the update application. Please do not close Foxwell scanner until it shows Update Done.